Health officials said Tuesday that Los Angeles County is in the early stages of a hepatitis A outbreak based on two “community- acquired” cases that cannot be traced back to San Diego County or Santa Cruz. “We are in the situation of a hepatitis A outbreak,” Public Health Department Director Barbara Ferrer told the Board of Supervisors. Most cases to date have been identified in patients who are homeless or active users of illegal drugs, but include workers at a health care facility working with those patients, Ferrer said. She urged anyone working with individuals at high risk of contracting the disease — including health care providers, food-service workers and shelter employees — to get vaccinated. “The safest thing you can do if you work with a high-risk population or if you are worried ... is to get vaccinated,” she said. Children have been routinely vaccinated since 1999. But many adults lack protection against the virus. “It is a good idea for everyone to talk to their doctor,” said Dr. Sharon Balter, the chief of the department’s communicable disease control program. But Balter said the county should focus on the homeless population, where the greatest risk lies. “The reason we’re particularly concerned (now) is because we have an outbreak in San Diego and we have an outbreak in Santa Cruz,” and the contagion is in a population not easily contained,” she said. The county typically sees about 40-60 cases of hepatitis A annually from the population at large, with a concentration often found among food-service workers and residents who travel abroad. But those patients can be readily tracked and follow-up can be scheduled by phone or email, something that’s not possible when patients are living on the street. There are 40-odd cases countywide now, but concerns have been heightened because of 10 cases in particular. Five confirmed cases have been linked to the outbreaks in San Diego or Santa Cruz and three more cases involved workers at a health facility that could be traced back to the first five. But the source of the latest two cases in homeless individuals could not be identified, leading to the ­declaration of an outbreak. 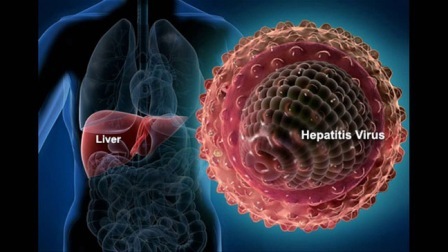 Hepatitis A is a highly contagious liver disease. Some individuals with hepatitis A may not have any symptoms, while others other may suffer mild symptoms over a period of weeks that can be treated with rest, good nutrition and fluids. “Most people recover completely and don’t have lasting liver damage,” Ferrer said. However, both those who have other health issues or weakened immune systems can be hospitalized and suffer permanent liver damage and even death. And even those without symptoms can spread the disease, which mostly occurs though contact with feces via surfaces or sexual contact. Keeping hands clean can prevent contagion and part of the county outreach to homeless individuals will include distributing hand sanitizer. An aggressive vaccination campaign is also underway. Beyond the fact that the virus spreads quickly in the non-sanitary conditions in which most homeless people live, officials are concerned because the mortality rate in San Diego has been significantly higher than they would expect. The virus is usually less deadly than the flu, killing about 1 percent of those who contract it. But homeless individuals are often struggling with other health issues, making them more vulnerable. In San Diego — which had 421 cases as of Sept. 13 — 4 percent of those infected have died from the disease, according to Balter. That vaccine can protect some individuals who already have the virus from ever having symptoms. Officials said they hope to vaccinate tens of thousands of county homeless residents, a population pegged at 57,794 in January. There has been resistance among homeless individuals, many of whom are mentally ill. But a “herd immunity” can kick in if a critical mass of people are vaccinated, even if everyone doesn’t participate. Ferrer sought to head off any panic related to any particular neighborhood, like Skid Row, that has a concentrated population of homeless individuals. “You don’t get this from casual (contact),” she said, emphasizing that the virus is not airborne. Cases can be found throughout the county. Supervisor Kathryn Barger asked for Tuesday’s report on transmission and outreach based on at least patient in the Antelope Valley.